Ahh, June. ‘Tis the season for celebrating your rainbow spirit. Don’t Be a Drag, Just Be a Queen Brunch is just in time for Cincinnati Pride weekend so after the fest on Saturday, strut your queer-freedom to 21c on Sunday morning! 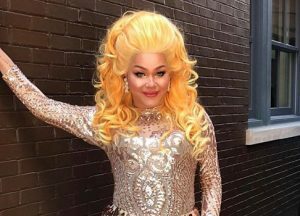 Treat yourself to performances by local drag queens, like Amaya Sexton, and some of our most fabulous cocktails followed by a mouthwatering family-style brunch prepared by executive chef Jared Bennett. $35 per person. Price is $35 per person; includes brunch and a welcome mimosa. Daring and divine costumes encouraged.